I am checking back in. My first ever 5k will be this June 4th. I am the 45 year old guy that asked you awhile back about how to train. My question is: I now know the specific route of the race. I have run it twice and it has a particularly killer hill on it. I was dismayed that my time slowed down. Should I not run that route until race day? I am wondering if I am getting my mental game off balance. 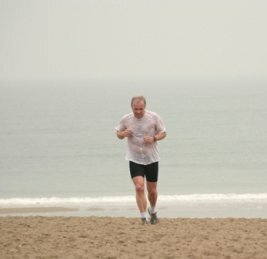 Would it be better to just keep training as I have been doing with your suggestions of tempo, base and interval and not run that route until race day? I guess in the end I'll have to decide for myself but wanted to get your input on it. Thanks very much I find your site not only helpful but more importantly, inspirational as well. Thanks for your question about your upcoming 5k race. It's great to hear you find my website useful and that it inspires you. There are benefits to knowing and doing the route of the race in advance. After all, you now know what you are in for. I once did some serious training for a 10k race and had my heart set on a personal best. I then found out, during the race, that the route was full of little hills, that basically made it impossible to getting anywhere near my personal best time. Silly and I had nobody to blame but myself. I should have done my research. You have done yours! I would not make this route the absolute center of all your running, don't focus on it too much, that would bring you off-balance. But I think it would be a good training run to do once in a while. Maybe do it once every two or three weeks or so. That way you will know the route by heart by the time you have your race and you will know what it is like to do that hill. You will hopefully find that as you get fitter, stronger and faster that it becomes easier over time!